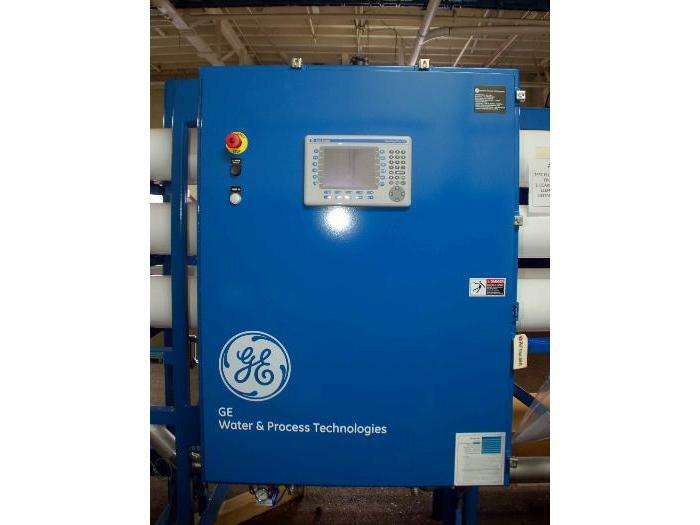 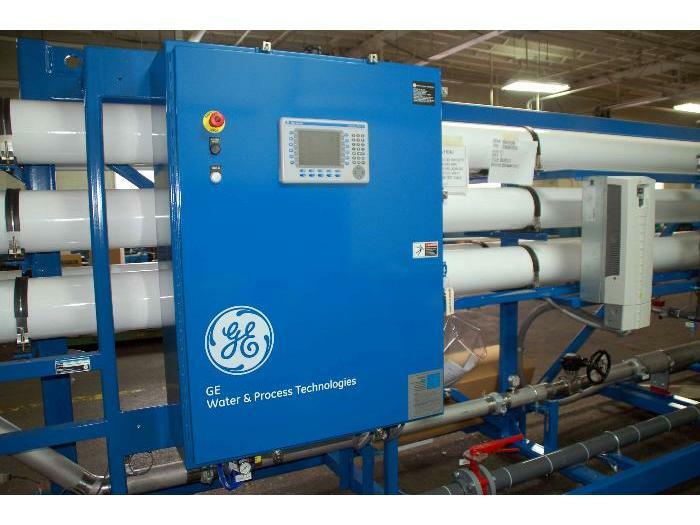 This GE Water PRO-150 premium unit features an Allen-Bradley CompactLogix PLC, Allen-Bradley Panelview Plus 700 display, Signet pH, feed, conductivity and flow sensors, WEG SSW-05 Plus soft starter. 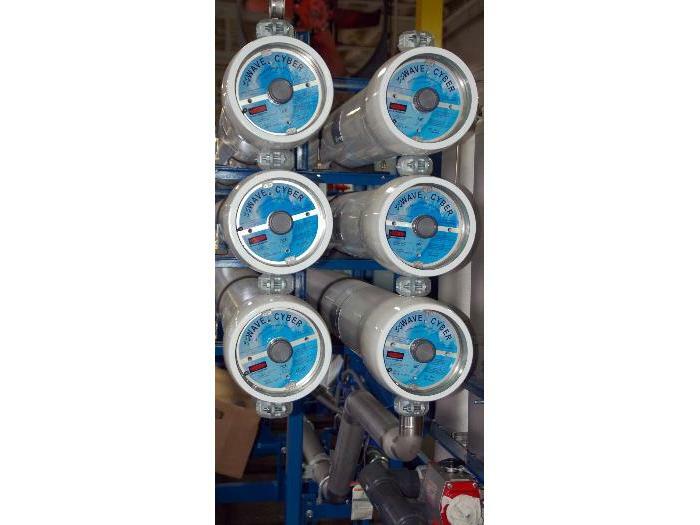 This RO has six 6M 450 psi WaveCyber pressure vessels set up in a 3:2:1 array. 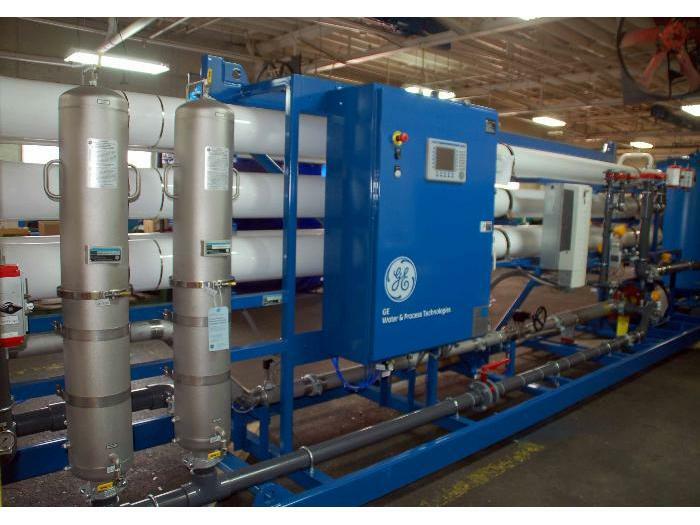 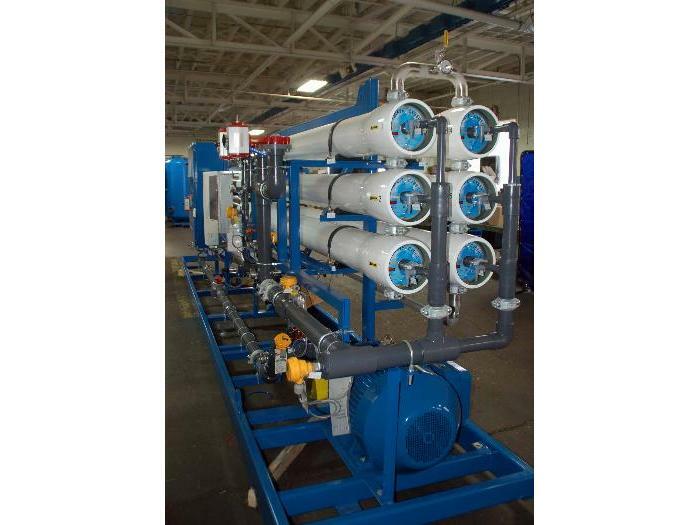 Unit is equipped with two 7R40 stainless steel filter housings. 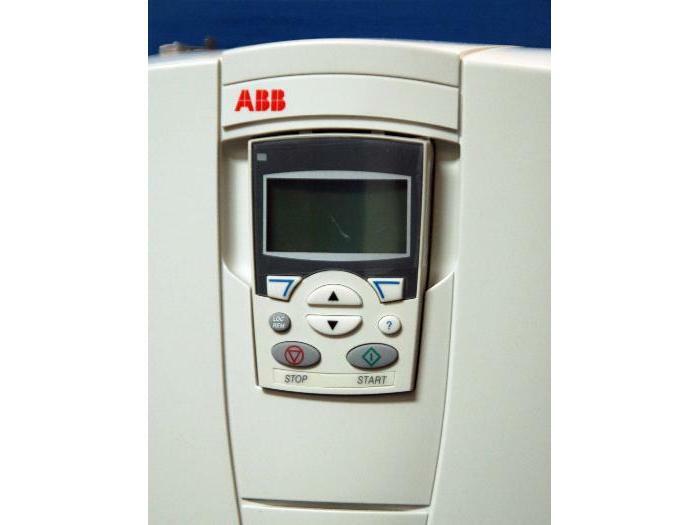 This unit is equipped with a WEG SSW-05 Plus soft starter.